For sailing lovers, visiting Nautor is what visiting Disneyland is to kids. Those of us old enough to remember the era of the before-dinner cartoon, the pre-digital bliss when objects of our young interest weren’t so omnipresent and available for admiration 24-7, will best understand the thrill of seeing Swans being made with your own eyes. 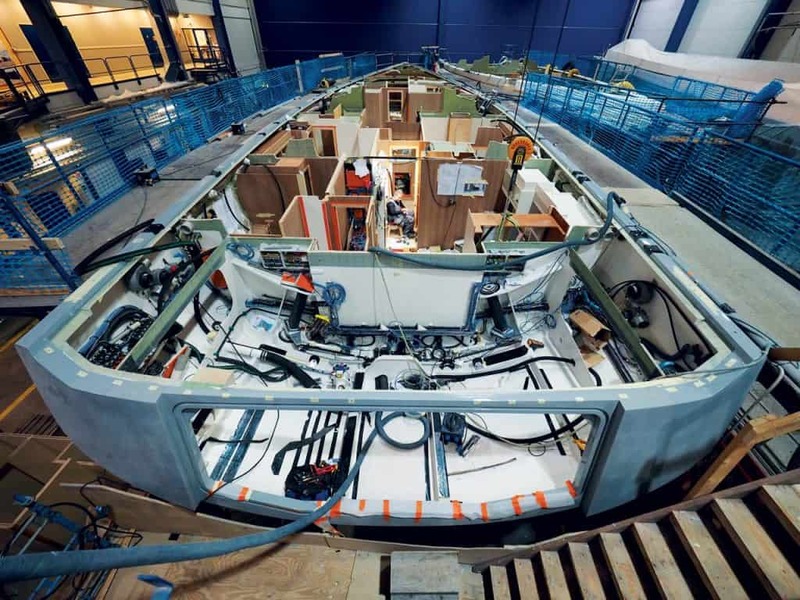 The Finnish builder also hails from a pre-digital era: fifty-two years ago Pekka Koskenkylä founded Nautor, fifty years ago Swan 36 won the Cowes Week regatta and sailed into the hearts and wallets of the sailing royalty. Fifty-two years of glory – the basis for today’s popularity and reputation – have been made possible by the very factors that in this era of extremes make it possible for Nautor to build something still unique and exceptional. The Finnish town of Pietarsaari is now the home of the Swan, in the close vicinity of the yard where Nautor was founded. The small town uncomfortably close to the Arctic circle, lives and breathes shipbuilding. Swan is really a cut above, and any comparison to other brands would be useless, not to mention unfair to them. Yacht builders are in general detail- and quality-oriented, but the makers of Swan make it an art. We have seen the Swan people work, we have looked into every aspect of boat-making the Finnish way and we have noticed an interesting red line meandering through the entire process: every step is taken to the max. Every move every employee makes is intensively optimized and careful, with the sole purpose of making every element of the boat perfect and with utter disregard of time, money and effort needed to make it so. A friend of mine, an employee of another renowned builder, tells me his yard can built an entire boat in the same amount of time the perfectionists at Swan take just to build interiors. Still, don’t let that casual attitude toward time fool you: the Finnish makers are everything but inefficient – it’s just they themselves are built differently. Precision is in their DNA, they take pride in quality and consider every minute spend building perfection time well spent. 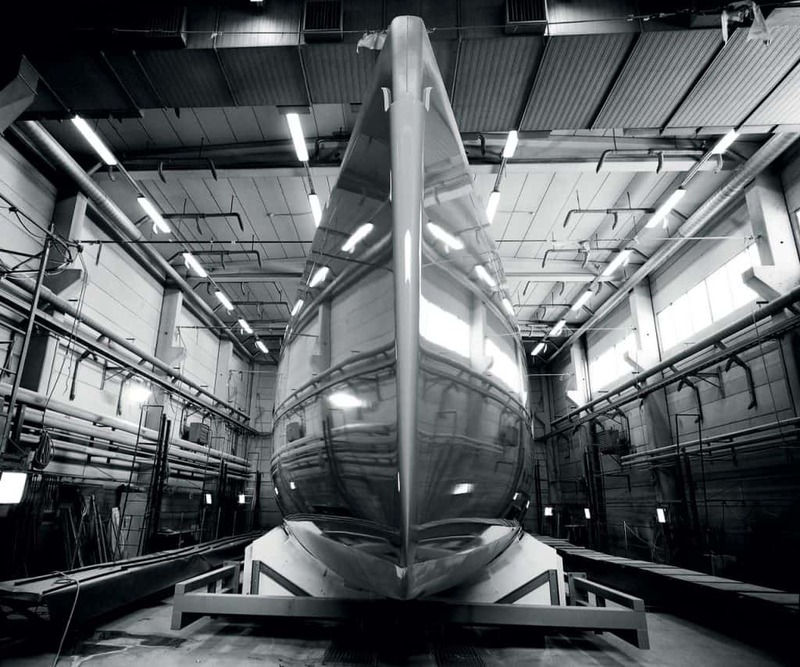 When the boat leaves the production hall, the owner will probably notice that radiant perfection without thinking twice about the time needed to achieve it. Ever since the conception of the brand, Swan boats have been made in avant-garde materials of the moment, and now that means carbon fiber, Nomex, rubber isolation to reduce noise and vibrations to a barely audible minimum. During our visit, we have seen the mold for the sensational Club Swan 125 – the mold was finished in carbon to increase precision, even though the unit ordered might have been the only one Nautor will ever make. That’s dedication. For lovers of sailing and shipbuilding the Swan complex truly is magic land, brimming with things unseen (like the brand new type of lamination oven with precise temperature control in the material), but unless you visit Pietarsaari, you’ll never know how many such magical elements it takes to make a Swan… just feel their collective power when you take it for a ride. Actually, you can hardly see qualities built into their boats from the first look, but hidden quality is simply superb. We couldn’t help but wonder about the drive behind that quest for perfection, that passion bordering with obsession. Our kind hosts simply stated it was how they did things, and we have come to draw the same conclusions from the atmosphere in Pietarsaari – the builders of sail boats named after the national bird of Finland really are natural-born perfectionists. They take things slow – even if that their Italian management (the seat of Nautor is in Florence) drives a bit crazy – but take them to perfection. There are companies with the same philosophy in other branches of the industry of luxury; in the aviation, in the mega-yacht sector, in the automotive sector (think Rolls Royce!) – but none of them are as small and as niche as Swan. The effort of the Finnish masters of perfection is therefore even more admirable, and they have a lot to teach the rest of the industry – tenacity, skills, consistence. During our visit, designer German Frers took us on board the new Swan 78 and told us a bit about the model to follow, the 98. 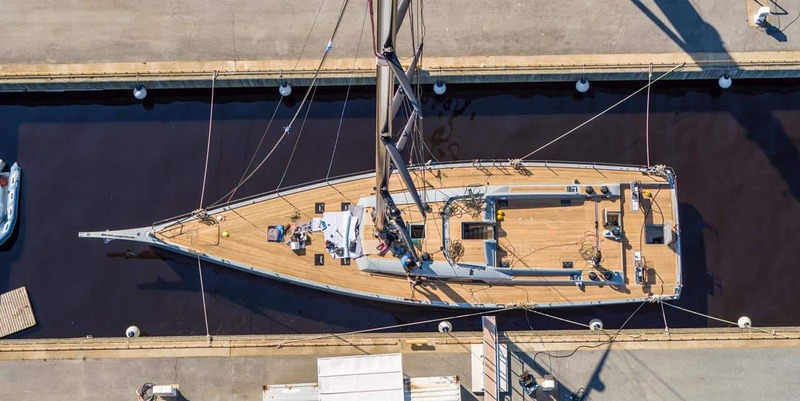 Frers has been with Swan since almost forty years, taking over from Sparkman & Stephens – out of 2000 units built in fifty-four years, Sparkman & Stephens are responsible for 775. Nautor Swan is all about consistence, and other than in the choice of co-operating with same designers over decades, that stability is reflected in their choice of managers. Italian businessman Leonard Ferragamo has been the owner of Swan for twenty years, and Enrico Chieffi their manager for just as long. Chieffi, by the way, was almost forced into that seat: that famous Italian yacht racer auditioned for the job when sailing with Ferragamo, and his first task for the builder was to organize the 1998 Rolex Swan Cup, which he did with poise and zeal. Today Chieffi runs the company with equal zeal and a steady hand: it was his idea to redesign the Swan dealer network and then split production into three categories – Club Swan (racing boats), units up to 80 feet, and units over 80 feet. Under Chieffi’s command, Swan recently has invested 10 million euros into renovation and expansion of the production complex, and dreamed up the future fastest sailing yacht in the world – apparently he sold the boat that is to become Swan 125 ‘on a napkin’, with the client on a super yacht one day. Still, even though Chieffo’s brilliant idea will take things to the next level, Swan was looking at an exciting future even before that: the newly launched Club Swan 36 with C-foils, designed by Juan Kouyoumdjian or the heartbeat-raising Swan 78 are wonders ready to take the world. So, lovers of sails and boats, racers at heart, if you have always dreamed about visiting the magic land where the perfect sail boats are made, wait no more: the marvelous Pietarsaari is waiting for you.